The weather is getting warmer, which means lots of cook-outs and outdoor get-togethers, and more importantly, delicious, delicious s'mores. I love s'mores, but I think we can all agree they can get more than a little messy. 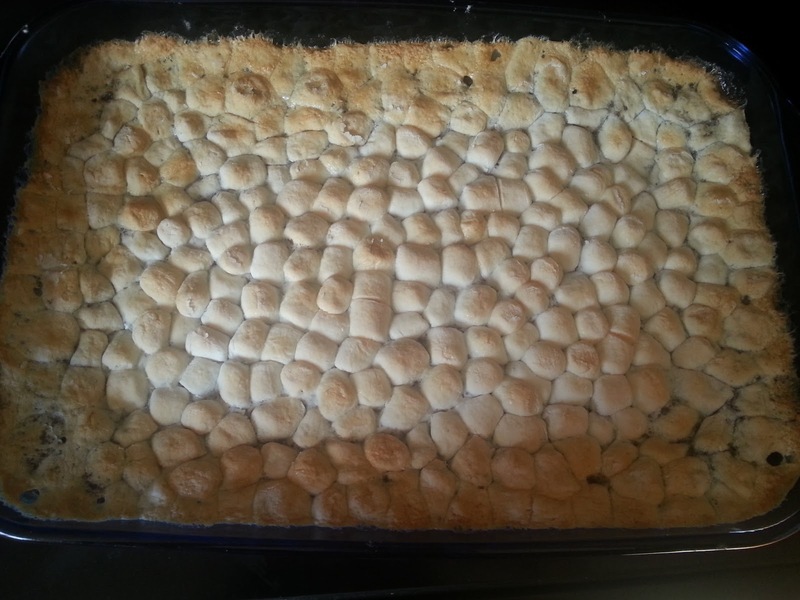 I decided I wanted to bring something to a girls' night (Magic Mike Night ;)) and thought maybe S'more Brownies would be something cool to try. 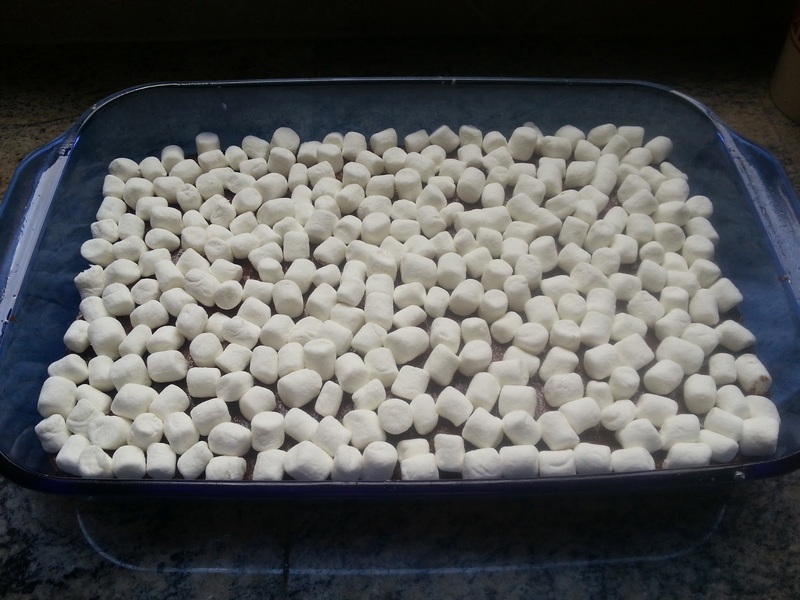 Instead, I decided to mix the graham crackers into the brownie mix. 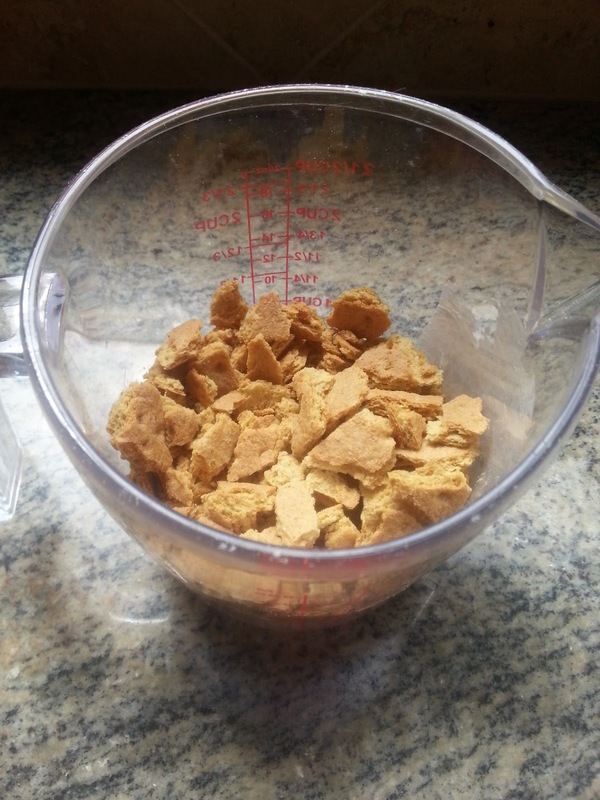 And, in case you were wondering, graham cracker crushing is a seriously awesome way to relieve some stress. While making these, I was in the middle of doing half a billion other things at the same time, so when I took these out of the oven I just assumed they were cooked and didn't test them as I should have. Turns out that was NOT a good idea. I didn't get back to them until they had cooled and it was time to cook them...and what a mess. BUT the good news is that all was not lost and the edges were thoroughly cooked and tasted ah-mazing (seriously, they were goddamn amazing). 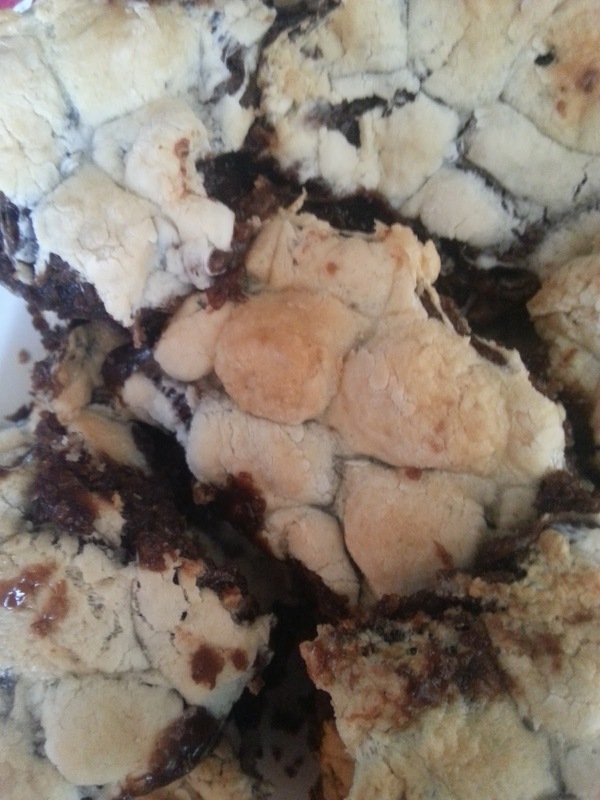 I made them again and played around with the temperature (I didn't drop it down to 325 degrees like for the Bacon Chocolate Chip Brownies and the Cadbury Creme Egg Brownies). Add sugar into the mix and stir until completely mixed. Add in eggs and vanilla until those are completely mixed. Mix in flour, baking powder, salt and milk until all is thoroughly blended. Break up the graham crackers and add to the mix. Spread in a greased and floured 9x13 inch pan (glass works best). 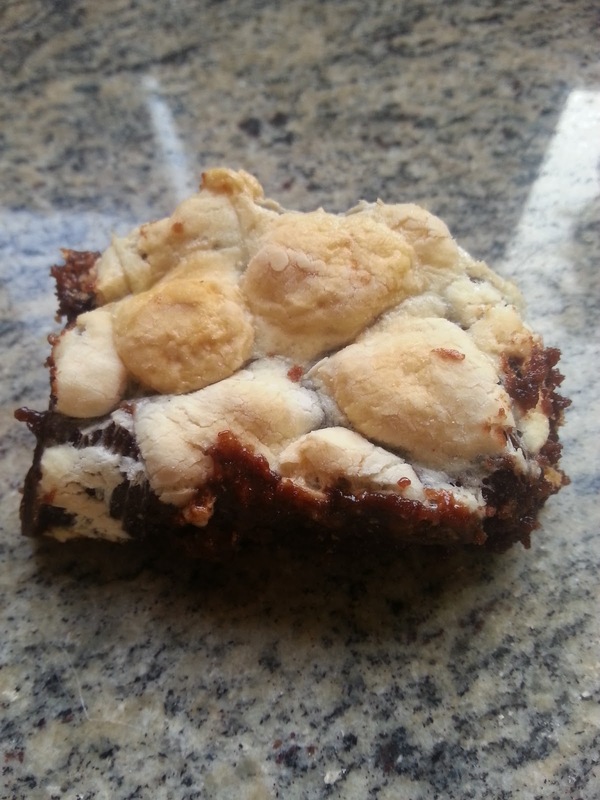 Top with small marshmallows to preference (I like the brownies to be completely covered). Bake for 40 minutes or until toothpick inserted in center comes out clean. If not cooked completely, return to oven in 5-10 minute increments until completely cooked.